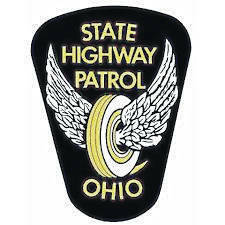 The Delaware Post of the Ohio State Highway Patrol is investigating a three-vehicle fatal crash that occurred at approximately 2:51 p.m. on Saturday, June 9, on state Route 37 near Township Road 175 (Scioto Township) in Delaware County. According to a press release, Robert L. Settlage, 86, of Newark, was driving a white 2004 Hyundai Sonata westbound on state Route 37. Joel A. Shoda, 37, of Kenton, was driving a 2008 blue Chrysler Town & Country westbound as well on state Route 37. Russell A. Snyder, 45, of Richwood, was driving a silver 2003 Audi TT Quattro eastbound on state Route 37 when he traveled left of center, striking Settlage’s vehicle. Snyder’s vehicle then struck Shoda’s vehicle head on. Snyder was transported by MedFlight to The Ohio State University Wexner Medical Center in Columbus, where he later succumbed to his injuries. Settlage, and his passenger, Margurerite Settlage, 83, were transported to Grady Memorial Hospital in Delaware with minor injuries. Shoda was transported to Riverside Methodist Hospital in Columbus with minor injuries. All occupants were wearing their seat belts at the time of the crash, the release states. Alcohol/drug use is not suspected by any of the drivers. The Ohio State Highway Patrol was assisted at the scene by the Delaware County Sheriff’s Office, City of Delaware Fire Department, Delaware County EMS and Scioto Fire & EMS.